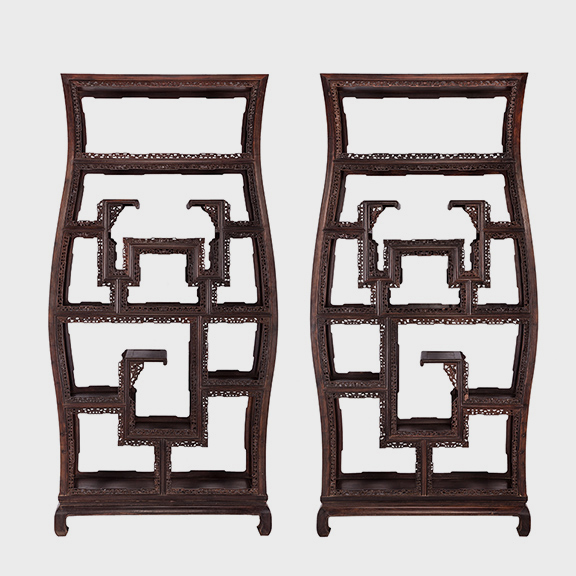 W: 41.5" D: 16.0" H: 84.5"
This pair of vintage collector's shelves are carved of zitan, a prized hardwood indigenous to Southern Chinese forests that has a very slow growth cycle. 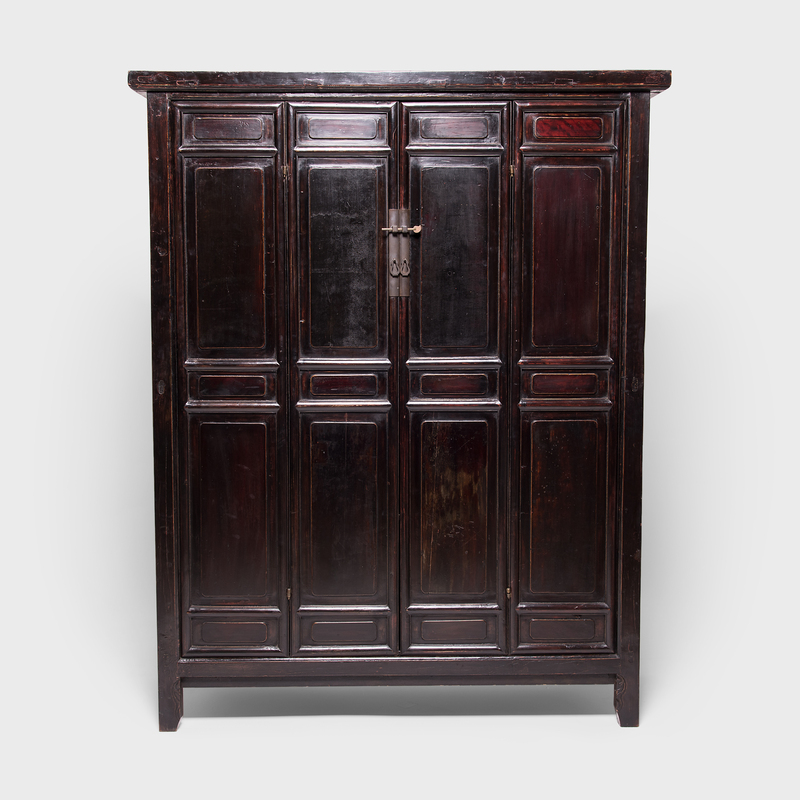 It is said that zitan wood takes over 800 years to harvest. 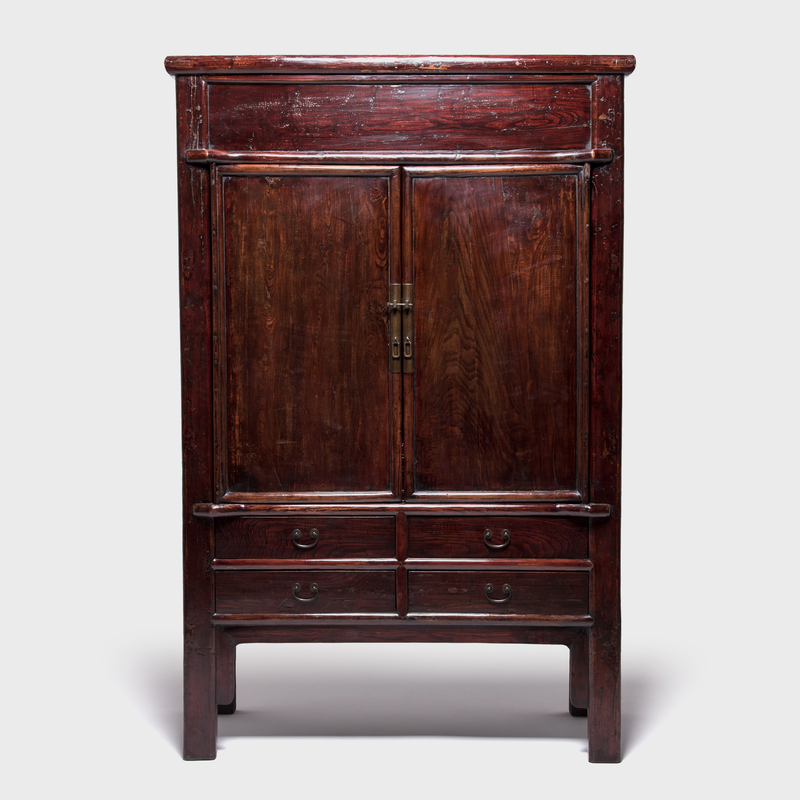 Much of the most collectible Chinese furniture is carved from Zitan wood. 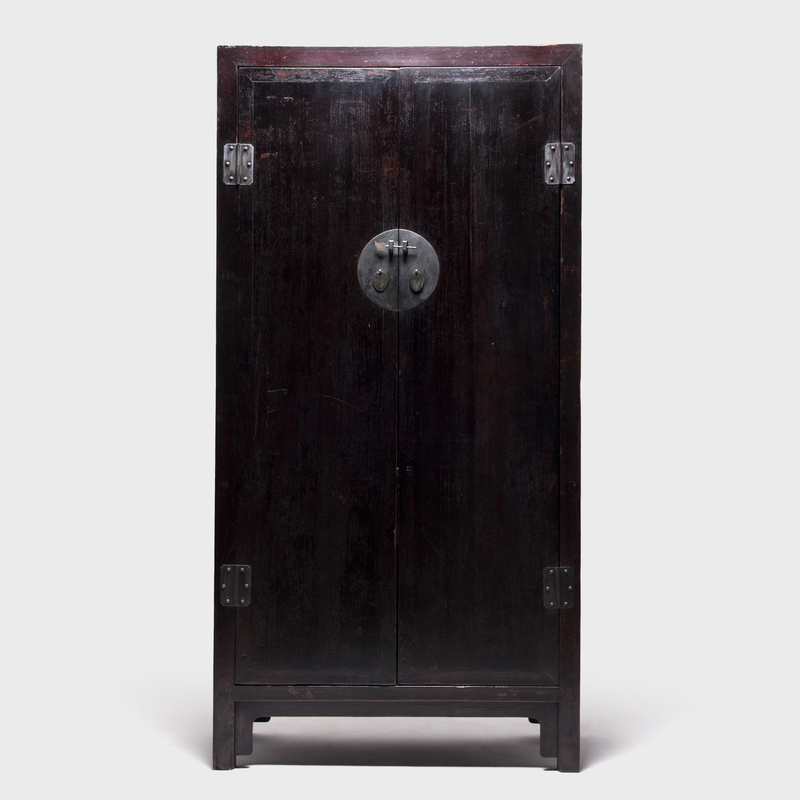 Traditionally, vase form shelves would have been used to display precious porcelains and other antiquities. 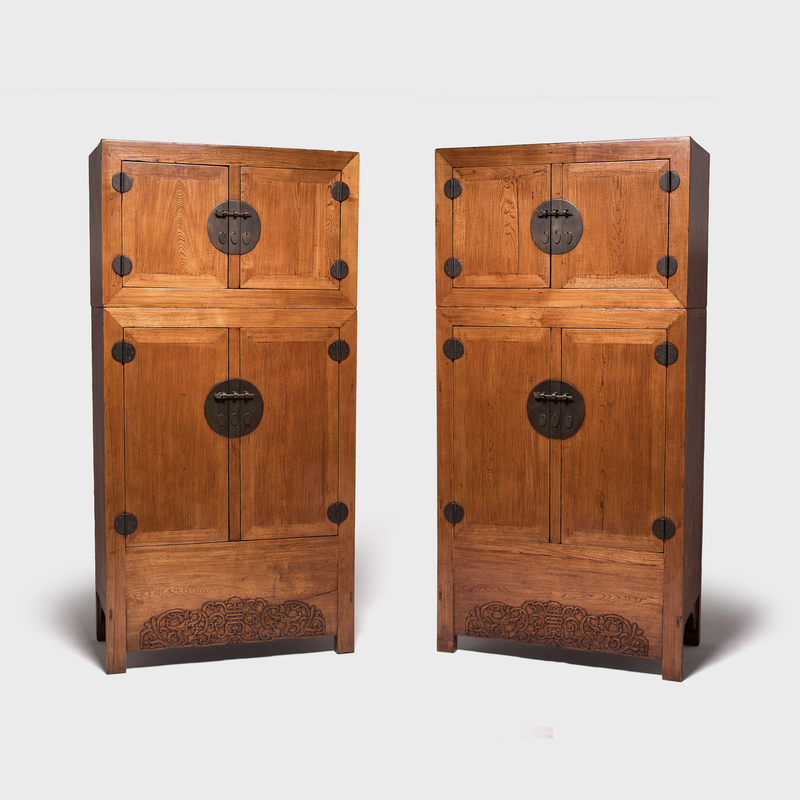 This fine pair features asymmetrically configured shelves with intricately carved floral galleries and delicate piercework aprons.